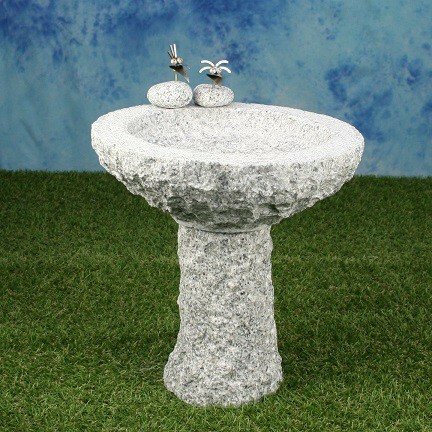 This birdbath is made out of granit stone and stainless steel, L/W/H approx. 35 x 35 x 42 cm, approx. 20 Kg.